Ledinhan, great entry. I really like the general theme you've come up with. 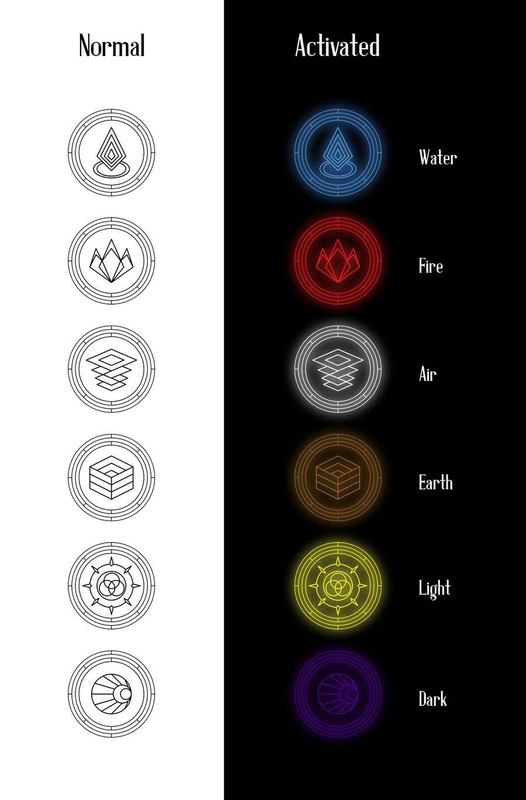 However, I think that actually your water symbol would be perfect for Arcane, and maybe you could try a new Water symbol instead? Also, the Earth symbol looks a little bit too much like a crate, could you try something else? Could you also do on of the symbols in a triangle outline, just so I could see how it looks? But in general, great attempt, and it's SO CLOSE! Hi! Thank you for your clear and suggestive comment. I'm working on the water and earth symbols again and try them with a triangle outline. Please wait.